Dinner time is a struggle. Whether you have a houseful of kids or just you and your spouse dinner time becomes redundant and most often times something that we just run out of time to even think about. How many of you guys honestly think about dinner every single morning in hopes that your start of the day preparations will make dinner come off without a hitch? Not me because sometimes it is an act of congress to make that possible. 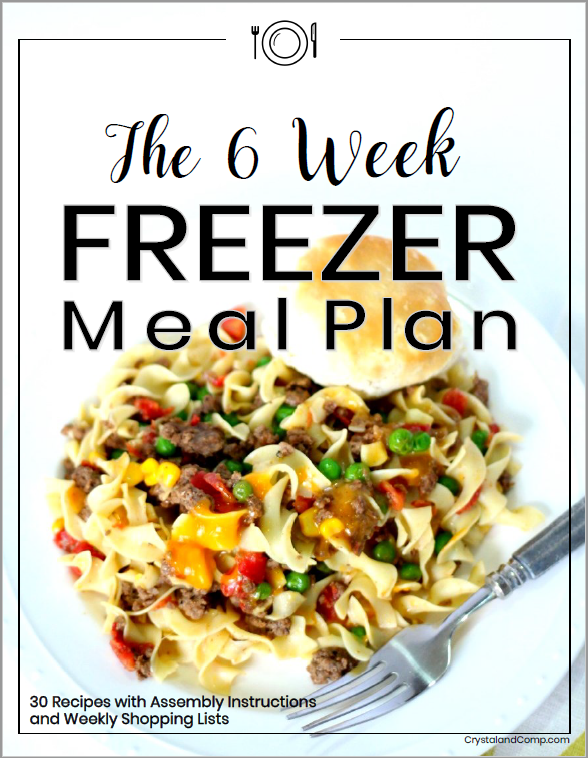 Have you ever tried make ahead freezer meals? Good news! We can help you make this happen. We have a group called Get Dinner on the Table. You should totally join! We make freezer cooking easy with little prep. You can make the most of your evenings and have family around the table. Getting dinner on the table in the evenings after a long day does not have to be something complicated with five courses and include all the spices in the spice cabinet. Each month we are assembling 7 meals that work really well for families. 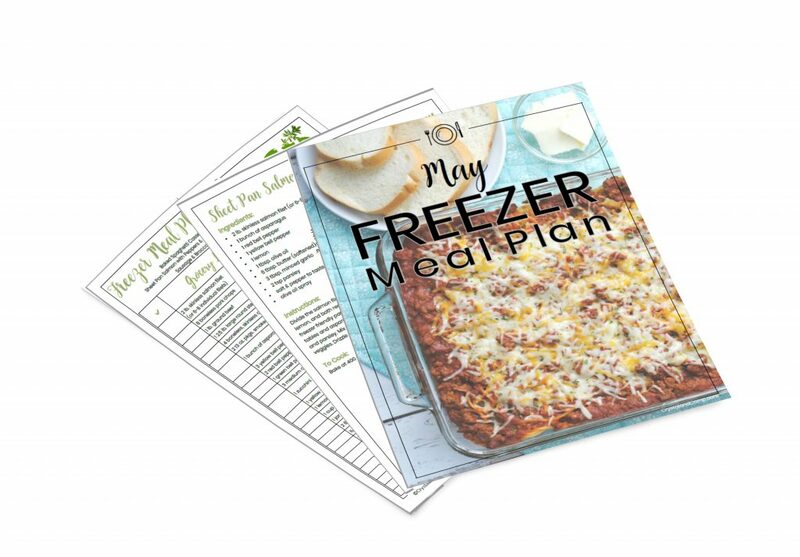 Yep, that’s right 7 freezer friendly meals with grocery lists, recipe directions, and a check off list for your pantry. 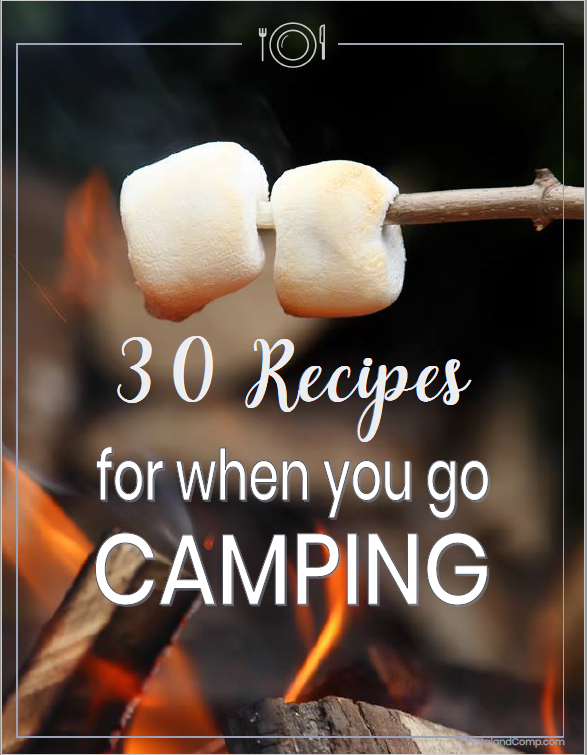 It is an instant download and you can just print it right off at home! 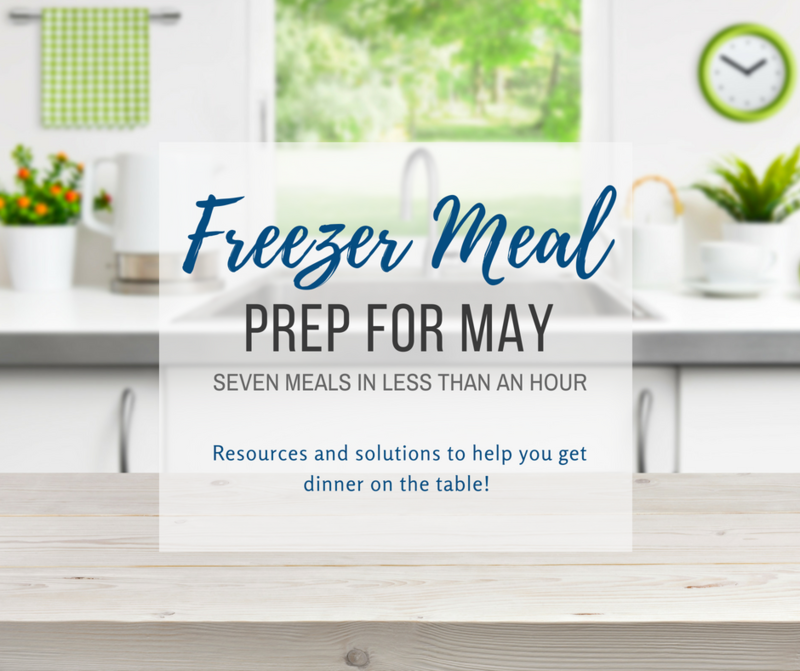 This past Sunday we assembled a really great freezer meal plan for May. It has a great variety of meals that are totally crowd pleasing. Here are the meals we prepped for May that are absolutely wonderful, easy, and delicious. Plus, the plan is very versatile! My favorite thing about this months freezer meal plan is that we worked in lots of fresh veggies. So not only is it a healthy take on dinner time but also great for the produce you will find right now at your grocery store. 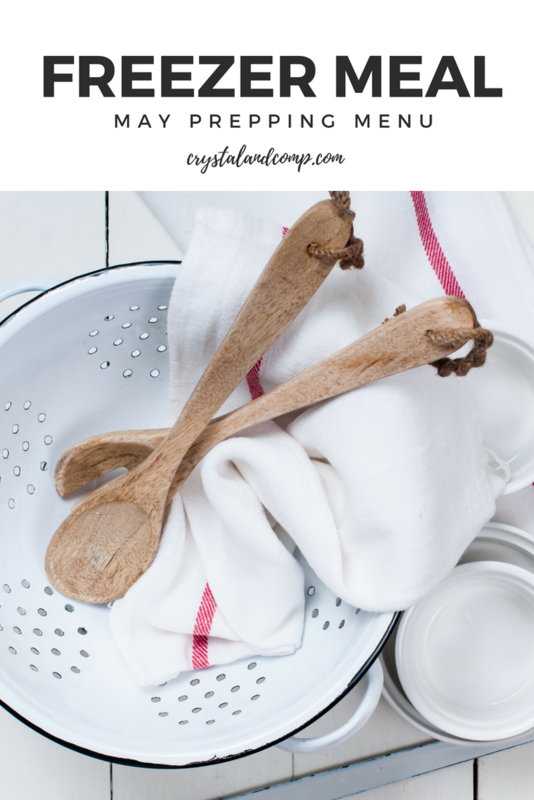 Collapsible Colander – This is perfect for draining pasta in the sink without all of the yucky water touching your noodles. Thaw Board – Thaw meat in no time with this thing. <–MY KITCHEN FAVORITE! Freezer Bag Holders – Lifesavers when it comes to assembly, making sauces, marinades or whatever! Produce Saver – Keeps all your favorite veggies and fruits fresh in the refrigerator by removing moisture. Online Grocery Shopping– each month I always buy all of my groceries online using this service. Each month we create a new menu. You can find all of those here. You don’t have to make the meal options for that particular month you can view the recipes prior to purchasing and choose whether or not that meal plan works for you. Make March meals in July. Make January meals in May. Whatever you choose, there is no judgement here. You can also double the recipes to make 14 instead of 7 or divide them if you have a smaller family. It is whatever works for you! We just want to help get dinner on the table! We hear so often that time is a huge dinner time issue. So with little prep dinner can be done and totally uncomplicated. Join is in our Get Dinner on The Table support group on Facebook where we share all kinds of other recipes, ideas, and humor! You can also find my large family meal plan for this week here. I incorporate many freezer meals into my menu each week. With six kids at home and running businesses from home and homeschooling, freezer meals are my saving grace!